This has to be one of the worst allergy seasons in Minneapolis. So many people have come to our acupuncture clinic with irritated itchy eyes, sneezing, runny noses, sinus pressure and fatigue. But the good news is acupuncture and Chinese medicine offer much needed relief for allergies. Allergies are the 6th leading chronic illness in the U.S. Somewhere between 9 to 15% of Americans have hay fever. With the mild winter and the early warm weather this year, pollen levels are predicted to be at a record high. So many people with hay fever may be suffering more this year. Consider that more than 50 million people in the U.S. are afflicted with allergies. Almost 55% of U.S. residents tested positive for one or more allergens. 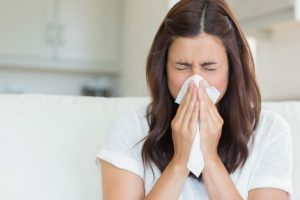 Conventional medical treatment of allergies attacks the symptoms but may weaken your general health and actually may worsen the underlying cause of the allergy. Side effects of antihistamines can include dizziness, insomnia, nervousness, dry mouth, headaches and fatigue. Research has raised the question of whether antihistamines taken for allergies may be linked to cancer. Nasal sprays can irritate mucus membranes. With this irritation the membranes produce even more mucus. Authorities have been stumped over the horrendous outbreak of allergies and asthma in recent years. Recent studies suggest that the overuse of antibacterial medications could be to blame. Eating right can improve allergies. Research published in Thorax (2007) discovered a relationship between allergies, asthma and diet. The Mediterranean type diet, high in fresh produce, is associated with a less allergic response. Fresh produce is high in flavonoids (antioxidants) that have an anti-inflammatory and anti-tumor activity. The Journal of Agriculture and Food Chemistry (2006) wrote that flavonoids reduced inflammatory substances in allergy sufferers. One study published in Allergy (Nov. 2006) concentrated on exercise and activity levels in 1700 children in Germany over a period of 12 years. In the beginning of the study, 6% of the children were sedentary. At the end of the 12 years, the sedentary children were 50% more likely to develop hay fever. In Chinese medicine, the symptoms of allergies are due to imbalances in the acupuncture channels. If left unattended, these imbalances can affect the internal organ systems of your body. For example, if someone suffers chronically with allergies, his/her Lung energy may be weakened. Your immune system protects your body. 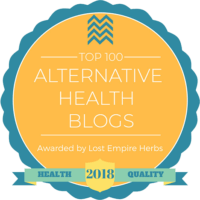 Traditional Chinese medicine teaches that Defensive Qi (vital life energy) or Wei-Qi flows on the outer layers of your body to protect you from allergies, colds and flu. When our Wei-Qi is weakened we are susceptible to foreign invaders like pollen, dust, animal dander, mold, bacteria or viruses. Licensed acupuncturists confirm this with Chinese pulse diagnosis. Our Wei-Qi can be weakened due to stress, inadequate sleep, negative emotions, lack of exercise or poor diet. In Chinese medicine, environmental factors such as heat, cold, dryness, dampness, or wind are considered possible harmful influences. Seasonal allergies are caused by repeated invasion of the lungs by wind and cold. When your body is perfectly healthy it is able to defend itself against the elements of nature. Wind can only adversely affect your health if your body is weak or when the wind is unusually strong. Wind symptoms include itching – itchy nose, eyes, throat and even ears. The symptoms of wind are like natural wind – appearing quickly and disappearing quickly and move around from place to place. Dampness creates a buildup of mucus and excess secretions – runny nose, watery eyes. Visualize a swamp with stagnant water. It slows the body down, causing fatigue and heaviness. It can even create pressure in the head like a vise. Acupuncture treatments for allergies can expel the wind, drain the dampness, and rejuvenate your immune system. Patients often fall asleep during treatments and later feel refreshed. Imagine breathing more freely from your nose, all itchiness vanished and feeling energized. Much like a computer, the acupuncture needles are designing a brand new program for your body’s energy circuit. The problem is not the allergy itself but the patient’s reaction to the allergen. Acupuncture reprograms your body so it doesn’t react to the allergen (i.e. pollen) as a harmful substance. 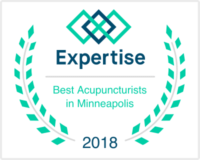 At our Minneapolis acupuncture clinic you will receive a very thorough exam, a complete health history and a Chinese pulse diagnosis. Then a customized treatment plan will be designed for your specific health concern. The goal of the treatment plan is to eliminate the symptoms of the allergy and address the root cause of the problem. Acupuncture treatments may be combined with Chinese herbal formulas and dietary recommendations. Discover a natural treatment to feel energized and healthy. 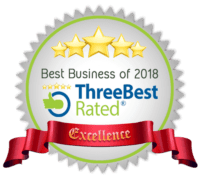 If you suffer from allergies and live in the Minneapolis / St. Paul / Twin Cities area call us now at 612-866-4000 and learn how you can banish your allergies. Or go to our contact page.